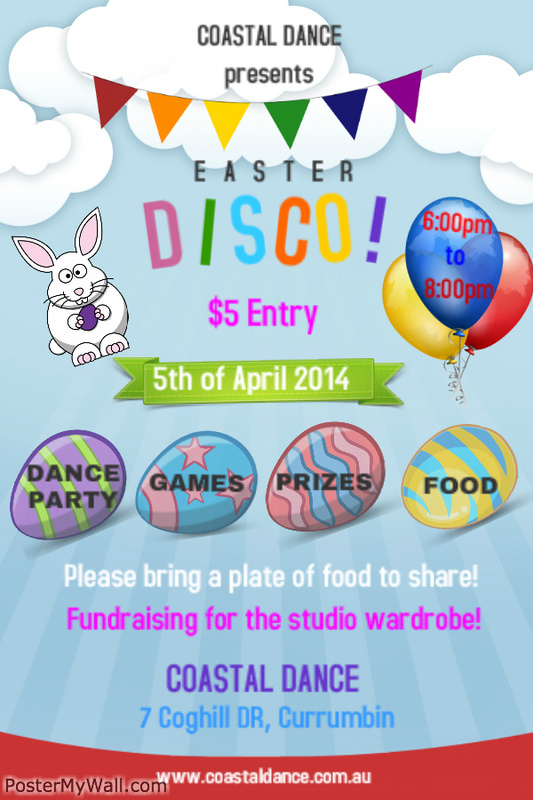 Coastal Dance will be holding an Easter Disco on Saturday the 5th of April from 6:00 – 8:00pm. Open to all students & their friends this is sure to be a night full of dancing, games, food & fun! Entry is $5 & our disco will be fundraising for our studio wardrobe. Students are also asked to bring a plate of food to share. Next Post Coastal Dance Is Expanding! !